I’m sure you’ve heard of Yellowstone National Park and Yosemite National Park, but have you ever heard of Glacier National Park? 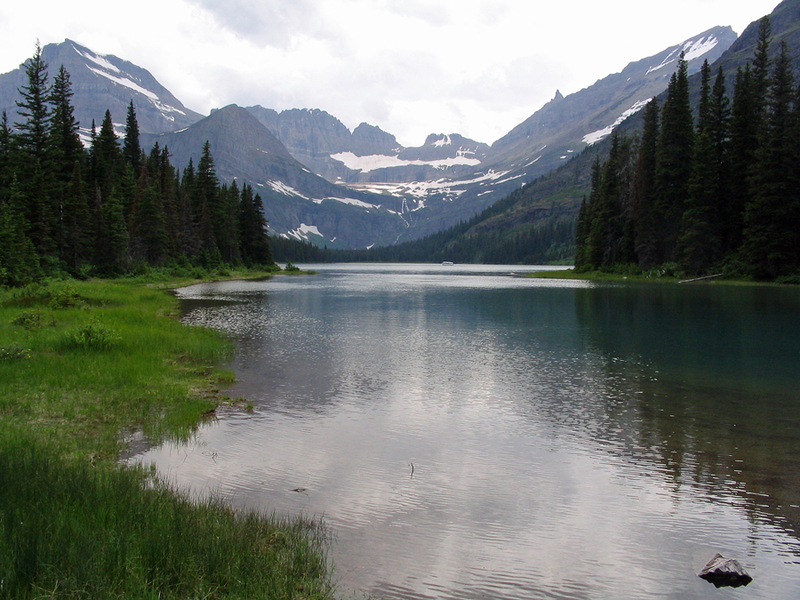 Glacier National Park encompasses one million acres in northwestern Montana. It’s so far north that it actually flows into Canada (where it’s named Waterton Lakes National Park of Canada). Glacier National Park doesn’t carry the same name as some of the more “famous” national parks, but it just might be the best in the country. You definitely need to carve out an extended weekend if you plan on visiting Glacier National Park, because it takes nearly nine hours to drive there from Seattle. You could fly to Spokane or Missoula and then drive north, but it won’t save you much time. A flight to Spokane is an hour, and then you still have to drive more than four hours to Glacier. Missoula is an hour-and-a-half flight with a nearly three-hour drive tacked on. No, it’s not easy to get to Glacier National Park from Seattle, but it’s definitely worth the effort. I visited Glacier National Park with my mom a couple of years ago. It’s easily one of the most jaw-dropping places on the planet. 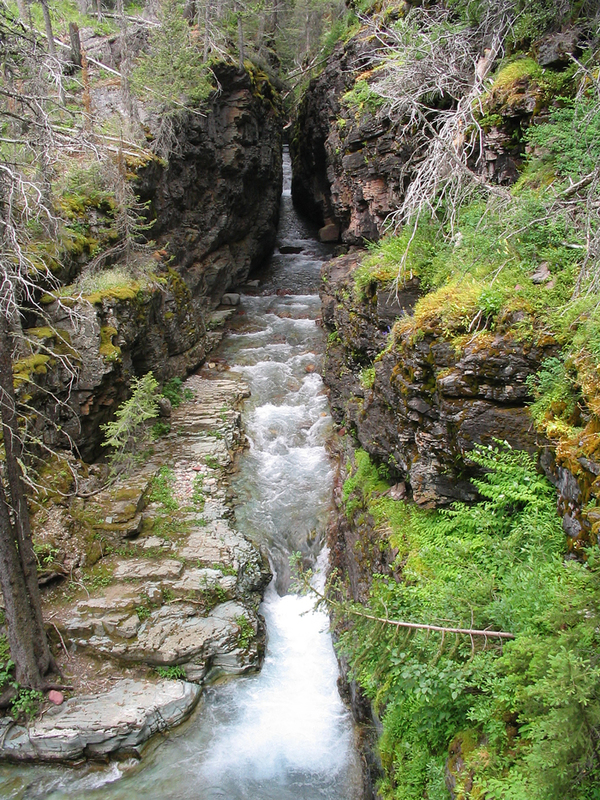 The park provides spectacular views of glaciers, mountains, waterfalls, rivers, and more. It almost doesn’t seem real when you’re there. It’s like you’re looking at a perfect painting. The cool thing is — it’s all very real. The views are plentiful and they’re accessible all over the park. A creek carves through the rocks at Glacier National Park. The highlight of Glacier National Park is driving the famous Going-to-the-Sun Road. It’s a strange name, but the 53-mile route is the only one that takes you deep into the heart of the park. Going-to-the-Sun Road bisects Glacier National Park and even crosses the Continental Divide at Logan Pass (at an elevation of 6,646 feet). Since you have to drive through the mountains, Going-to-the-Sun Road is seasonal (usually open from early June to mid October). The two-lane road is also narrow and winding, so it’s not necessarily great for folks who are afraid of heights (like my mom — she was freaking out). You can also trek through Glacier National Park on foot. There are more than 740 miles of hiking trails that provide anything from short hikes to extended backpacking trips. Just like Going-to-the-Sun Road, many of the trails are affected by the weather. My mom and I tried going on a hike near Logan Pass when we were there, but the trail was closed because of snow (keep in mind — we visited in JULY). Since that path was closed, we took a different hike near Two Medicine Lake instead. I highly suggest hiking through the park (click here for more info), because our hike provided some of the best views on the trip, and it got us close to some of Glacier’s incredible wildlife. 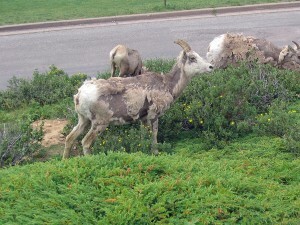 There are tons of animals at Glacier National Park. I saw bears, deer, bighorn sheep, elk, and plenty of mountain goats (check out the Goat Lick Overlook for great viewing of mountain goats) when I was there. There’s plenty of wildlife at the park that I didn’t see on my trip, like wolves, mountain lions, and moose. There are also more than 260 species of birds inside Glacier National Park. Spotting wildlife is one of my favorite parts of visiting a national park, and Glacier definitely didn’t disappoint. There are several aspects of Glacier National Park that my mom and I didn’t get to take advantage of when we were there, like staying in one of the park’s lodges and taking a Red Bus Tour (like visitors have done for more than 80 years at Glacier National Park). We would have loved to experience both, but we just didn’t have enough time. That’s the one problem with national parks — you can never see and do everything (as much as you want to). From what I did see, Glacier is easily one of the most spectacular places around and I can’t wait to go back for another adventure. 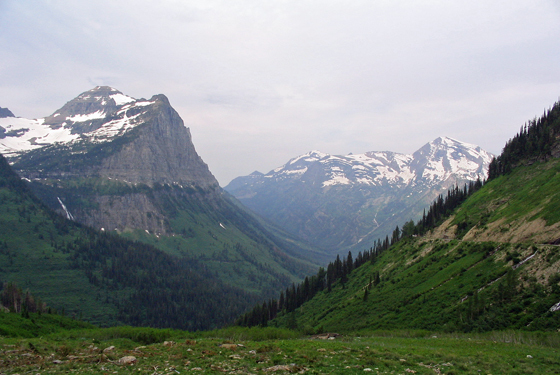 Have you ever visited Glacier National Park? How was your experience? We’d love to hear all about it! Please leave a comment below or connect with us on Twitter, Facebook and Google+. 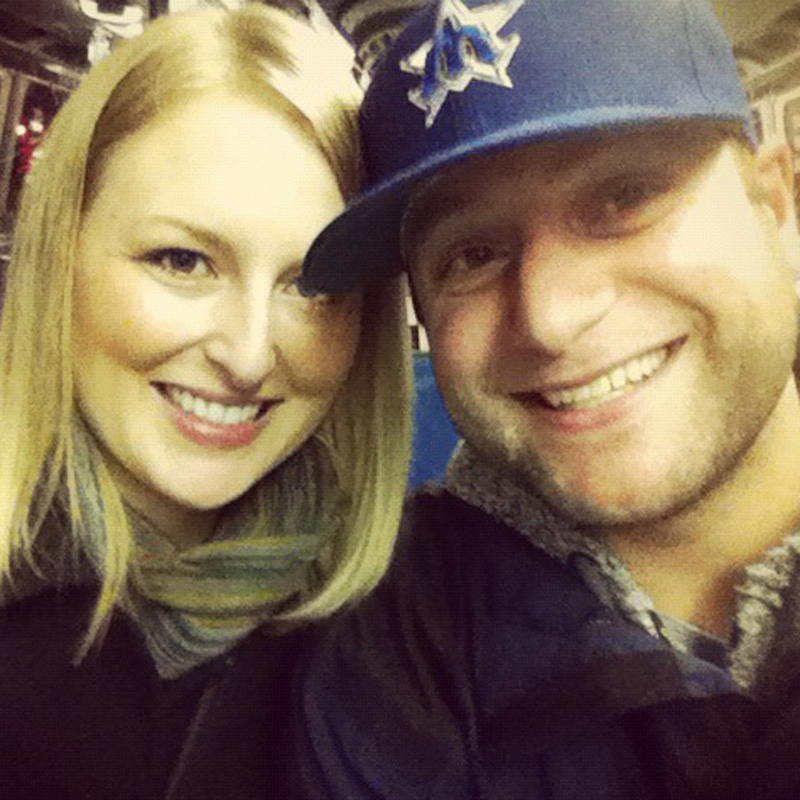 Don’t forget to also check out Seattle Bloggers for more great Seattle getaways!